Hello there my 36th Avenue friends! 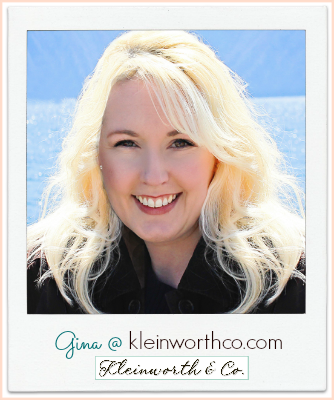 It’s Gina from Kleinworth & Co. I’m back today to share with you all one of my favorite easy dessert ideas. 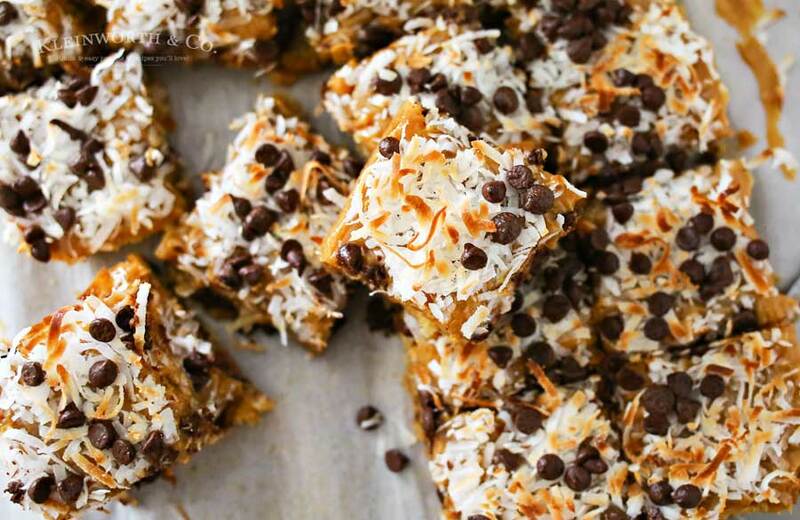 If you love caramel & coconut- these will really make you smile. Those are some of my favorite flavors too. Oh my goodness- it’s so good. So what makes these so easy. Well, I took one of my favorite mixes, added additional toppings to match the mixed in flavors & it turned out incredibly scrumptious. 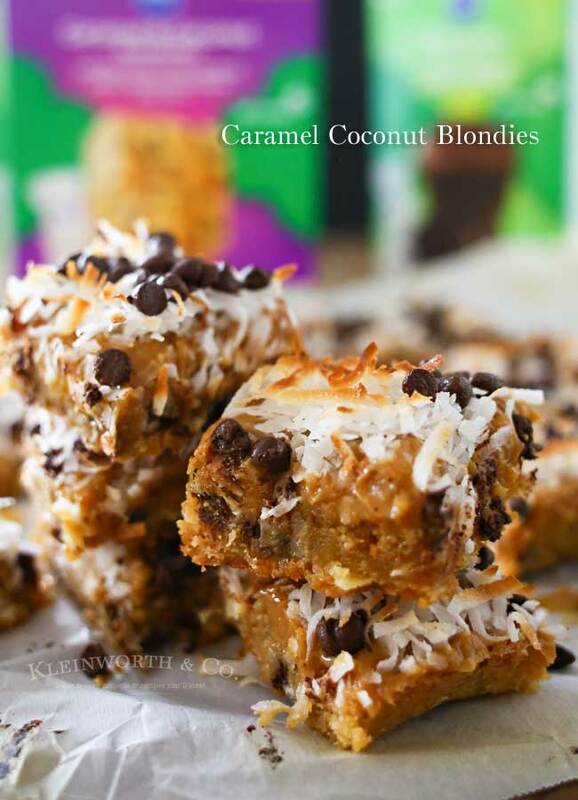 These blondies will surely be a hit with whomever you share them with. I used my homemade caramel to make these. But you can just as easily use a jar of caramel from the store. Then I added tons of coconut, mini chocolate chips & then toasted under the broiler for a few minutes. 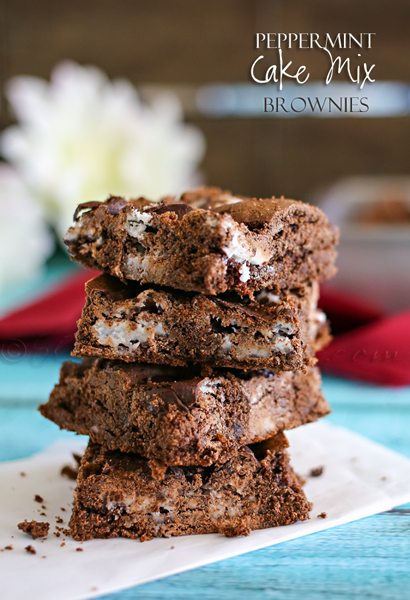 It melted those chocolate chips just enough to make them gooey & boy was it amazing. Just look at that- I just swoon over every bite! Sooooooo delicious! 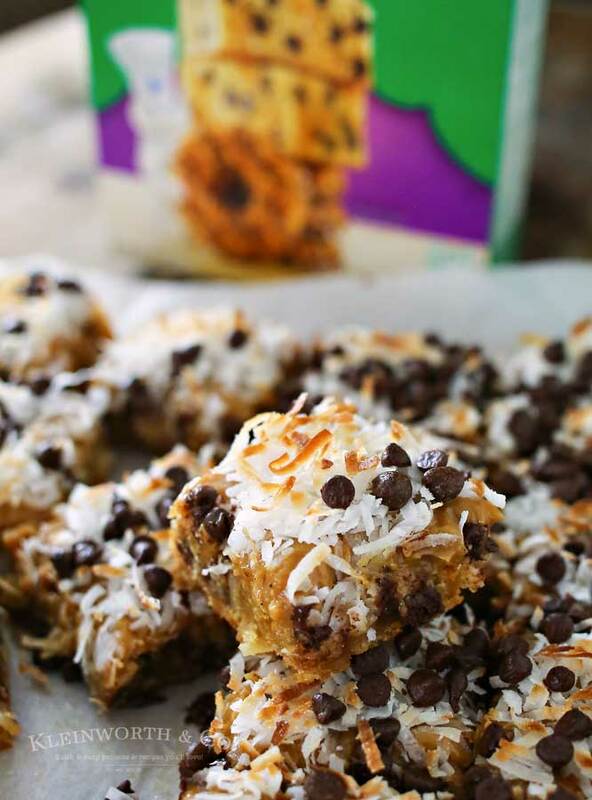 Caramel Coconut Blondies, a yummy bar recipe loaded with butterscotch & chocolate & topped with a layer of caramel, toasted coconut & more chocolate chips. 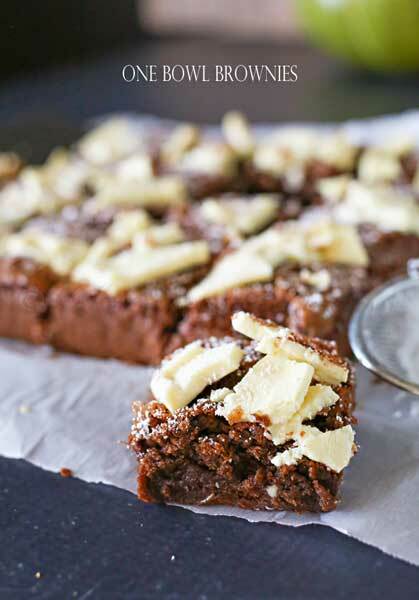 Looking for more yummy bar recipes?